(ENG) I did this sketch almost a month ago but suddenly I felt like working on it. Despite the rushed tonal rendering, I hope you guys like it. (ESP) Hice este boceto hará más de un mes pero derrepente me apeteció trabajar en el. Espero que os guste pese a lo apresurado del sombreado. (EUS) Marrazki hau duela hilabete inguru egin nuen baina bapatean honekin lan egiteko gogoa bueltatu zitzaidan. Itzal presatien arren, gustoko izango duzuela espero dut. This is pretty cool Dei! nice to see something new up, good sense of size perspective and mass- just for fun? or are you working on concepts for anything in particular? I was wondering when you will post this one. LOOKS SIK!!! GREAT JOB!! I really like this, it reminds me of the concept art I saw for Cloverfield. It is for fun, eventhough I´m planning to use these designs in the future. 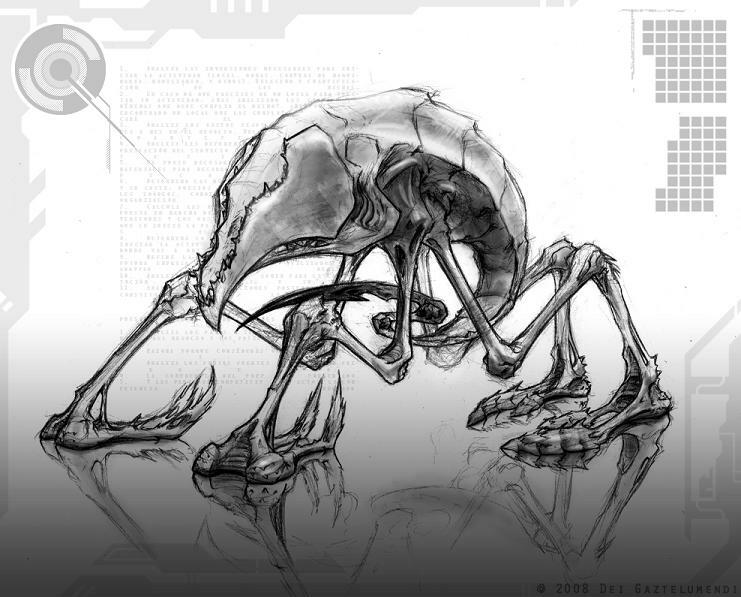 Where did you see that Cloverfield Concept Art? I´d love to see it. I really liked the parasites. I´m sorry it took me so long:) I hope to post more concept designs soon. che che che che y che. me gusta tu blog. see you in sept. & hope your having a good summer.